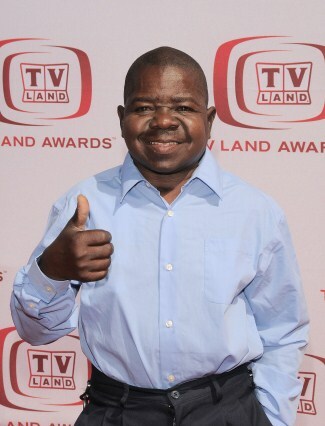 Gary Coleman – whose ex-wife Shannon Price made the decision to turn off his life support machine – fell into a coma after suffering a brain haemorrhage following a fall at home, and despite police previously ruling out suspicious circumstances, Dion Mial insists there was a “criminal” reason for his passing. Gary’s estranged parents Sue and Willie Coleman have previously questioned whether their son’s death was caused by foul play. The couple’s spokesperson Victor Perillo said: "If I had the dollars, I’d hire someone to take another look at the body to see if there was any blunt force trauma to the head. "How did he hit his head? Why was there so much blood?" Meanwhile, Shannon has now been served legal papers instructing her to stay out of the home she shared with Gary in Utah after she was videoed entering the property – which she had already been banned from – and removing documents and personal items, including musical instruments and furniture. Dion’s attorney Kent Alderman – who filed Gary’s will this week – said: “We notified Shannon that we have been appointed administrator and asked them not to come into the house again.” It was claimed yesterday (09.06.10) Gary made another will that will override the 1999 document and will be filed “soon”.